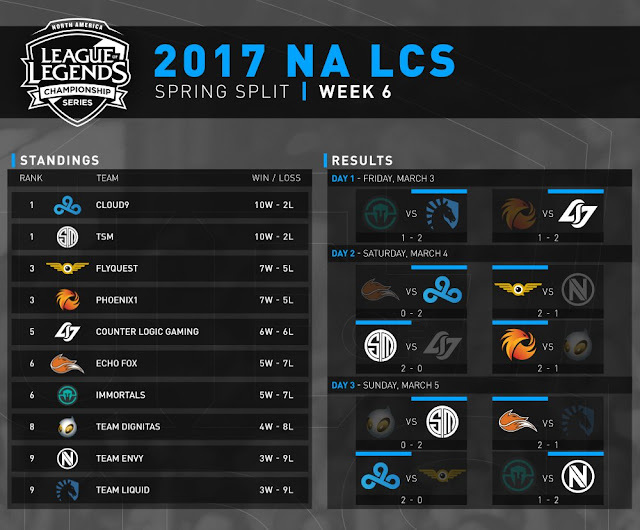 The NA LCS returns with the seventh week of the 2017 Spring Split! 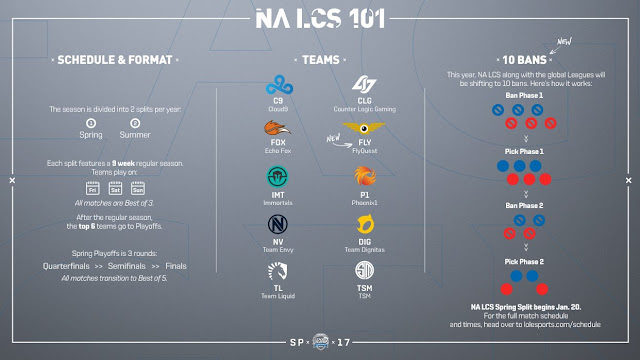 The 2017 NA LCS Spring Split features North America's top ten teams - Team Solomid, FlyQuest, Echo Fox, Cloud9, Team Envy, Team Liquid, Team Dignitas, Phoenix1, Counter Logic Gaming, and Immortals - playing against each other for championship points and a chance to represent their region at the 2017 World Championship! Catch up on the full NA LCS rules here or browse the 2017 season changes article here. LCS Spring Split Week 7 will be played on patch 7.4. 2017 NA LCS Spring Split Standings and Team information.